This was a treat for me. Gave me an opportunity to try some different shades. Great. Purchased about 3 weeks ago. 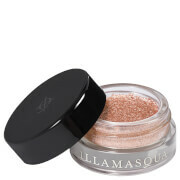 I love the effects I can build using this with my other Illamasqua shadows. Also gave me a chance to try the obsidian and rhe silver. Lovely.